The Robert Chambers Log Scriber. No longer manufactured, nor available. Sorry! A new one is in the making. Perhaps for year 2019. Comes with: 2 pens, instructions, tool kit, and hard carrying case with ripple-foam interior. Scribe Distances — 0 to 10.5+ inches (0 mm to 270 mm), and up to 25 inches (0 mm to 635 mm) when using modular, optional slides. Ergonomic grip — very comfortable and non-slip, good in all weather and all seasons. 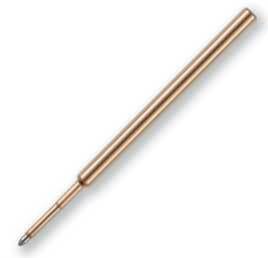 The easiest to hold, and most comfortable scriber ever made. Warm to hold in winter, maintains its comfortable textured grip even when wet. 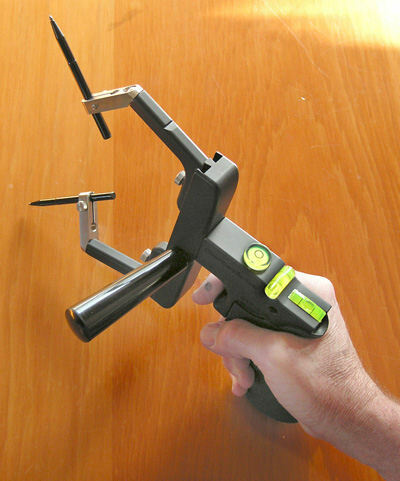 Side-Handle — optional side handle makes grip rock solid. You will be amazed at the control you get. Any M8 x 1.25 handle will fit (Makita sander / grinder for example). Rotate pen angle — the pen holders can be rotated by you at any time, to any angle, to get the best contact with both logs. The scribe setting will not change, and the scriber stays plumb. Rugged, sturdy and precise — CNC-milled from non-rusting premium stainless steel and high-test aluminum. Bubbles — The best in the industry. All models have both double-bubble and bullseye bubble. Custom made bubble vials. 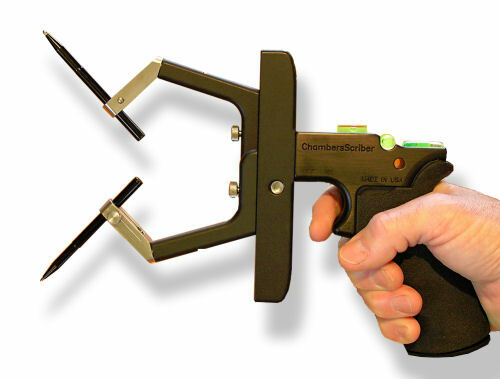 Can be used for "laser scribing" — has a precision-milled hole ready for standard bore-sight lasers.